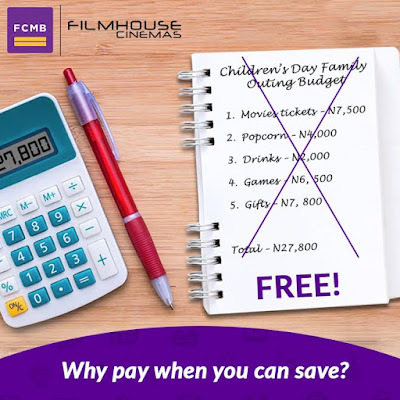 If you are still wondering what to do for Children’s Day that won’t dig a hole in your pocket, then you probably haven’t heard about #FCMBKidsAtTheMovies (http://on.fcmb.com/KidsAtTheMovies-16), the massive Children’s Day event First City Monument Bank is planning for families! Don’t let the name deceive you, there’s more to this than just seeing a movie – games, competitions, face painting, music, dancing, gifts for the children and lots to eat and drink! 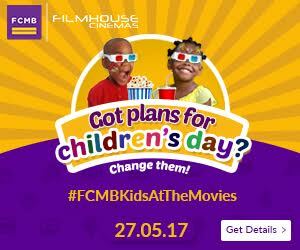 Happening live at FilmHouse Cinemas, Adeniran Ogunsanya Mall, Surulere, Lagos on Saturday May 27, 2017, #FCMBKidsAtTheMovies is definitely going to be an unforgettable experience. Honestly, you don’t want your family to miss out the fun. Participate in the contest and you just could be joining #FCMBKidsAtTheMovies! 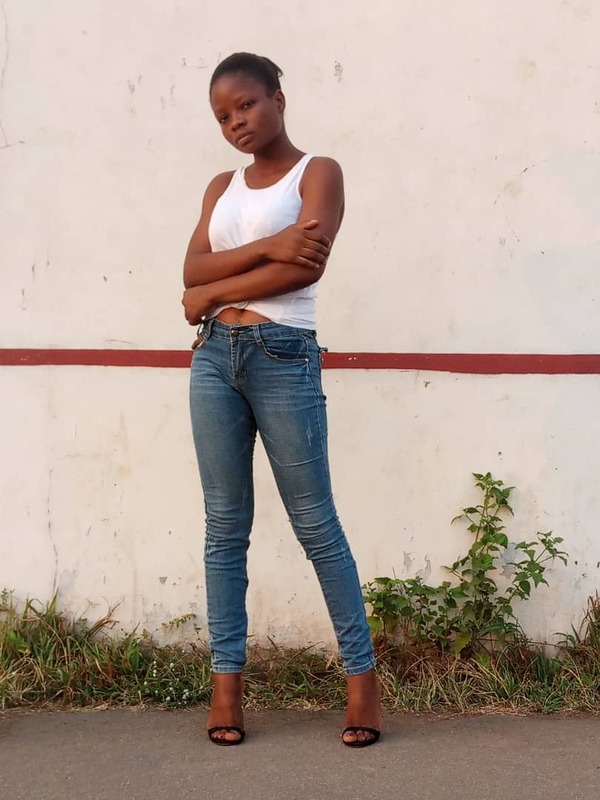 Please visit <http://on.fcmb.com/KidsAtTheMovies-16> for more.